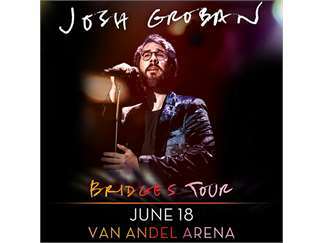 Josh Groban will bring the second leg of his Bridges Tour to Van Andel Arena on Tuesday, June 18th, 2019 at 7:30PM. Date will feature special guest Chris Botti. Tickets go on sale to the general public on Friday, February 15th at 10AM.